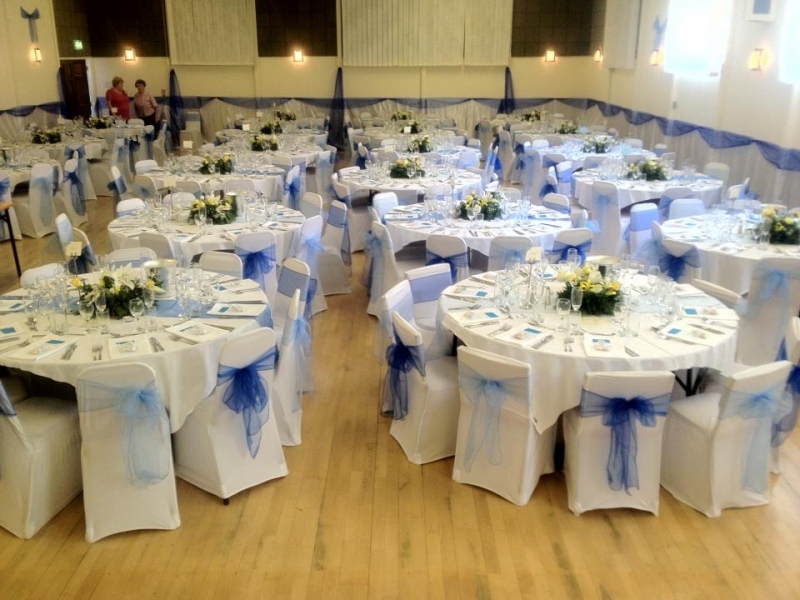 The community centre is available for Wedding Receptions, Christenings, Conferences & Meetings, Pantos/Concerts, Over 21 Birthday Parties, Funeral Receptions. The centre has two function rooms that can be hired separately or together. Subject to change at Management Discretion NO use of microphone’s on Saturday’s between 6:30pm and 7:15pm. Please note the Bar is only open for specific functions and is closed between 11:30pm and midnight depending on the function, and the premises must be vacated by 1.00am. A security deposit of £100 is required at the time of booking. Should the event pass off without incident or damage to the centre the deposit will be refunded within 14 days of the event date. The deposit will be kept by the centre in the event of cancellation by the event organiser in less than 30 days from the agreed date. The charge for using the premises is required in addition to the deposit described above. The consumption of alcoholic drinks by those under 18 is strictly prohibited, as is purchasing drink for those under age or bringing alcohol in from outside to consume on the premises. The Licence holder and bar staff will strictly enforce this rule. All drinks consumed in the parish centre must be purchased from the centre, anyone found with drinks not purchased from the centre will be required to leave the premises. ‘THE HIRER’ shall during the period of the hiring be responsible for ensuring that no persons using the premises bring in alcoholic drinks from outside. Failure to comply with this will mean forfeit of the £100 deposit. ‘THE HIRER’ means the individual, company or organisation who is named on the Booking Form as the hirer. 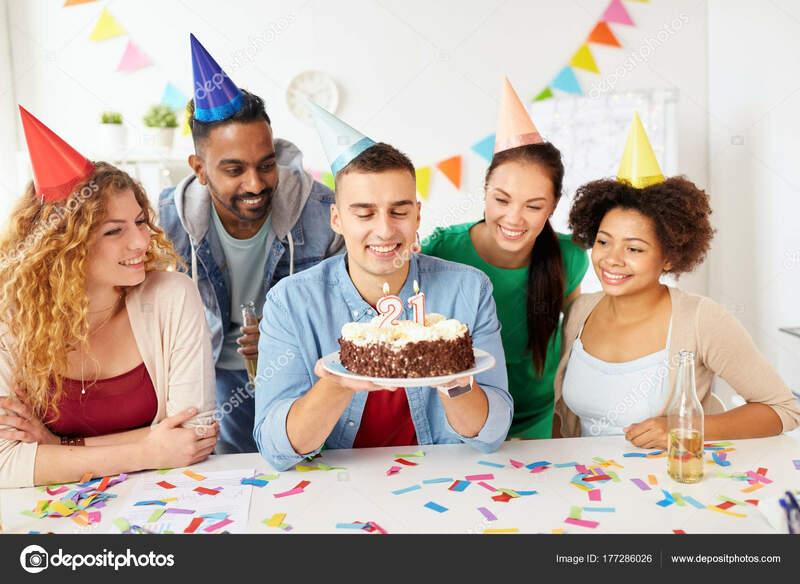 THE HIRER, not being a person under 21 years of age, hereby accepts responsibility for being in charge of and on the premises at all times when the public are present and for ensuring that all conditions, under this Agreement, relating to management and supervision of the premises are met. ‘Under 21’ parties will not be permitted. THE HIRER shall, during the period of the hiring, be responsible for: supervision of the premises, the fabric and the contents; their care, safety from damage however slight or change of any sort; and the behaviour of all persons using the premises what ever their capacity, including proper supervision of car parking arrangements so as to avoid obstruction.. As directed by the Booking Secretary, the Hirer shall make good or pay for all damage (including accidental damage) to the premises or to the fixtures, fittings or contents and for loss of contents. THE HIRER shall not use the premises for any purpose other than that described in the Hiring Agreement and shall not sub-hire or use the premises or allow the premises to be used for any unlawful purpose or in any unlawful way nor do anything or bring onto the premises anything which may endanger the same or render invalid any insurance policies in respect thereof nor allow the consumption of alcohol thereon without written permission. St. Mary’s Community Centre shall have the right to refuse admission to any person whom they consider undesirable and shall not be bound to give a reason for so doing. THE HIRER shall, if preparing, serving or selling food, observe all relevant food health and hygiene legislation and regulations. In particular dairy products, vegetables and meat on the premises must be refrigerated and stored in compliance with the Food Temperature Regulations. A refrigerator is provided on the premises. St. Mary’s Community Centre will not accept any responsibility for any food provided by the Hirer. Food handlers should keep all parts of their bodies and clothing clean. Food handlers should not eat whilst preparing food. (i) Food handlers should preferably keep their hair short. (ii) In the course of handling food, Long hair should be tied back as well. (iii) Combing of hair should not be conducted in food handling areas. THE HIRER shall comply with all conditions and regulations made in respect of the premises by the Local Authority, the Licensing Authority, St. Mary’s Community Centre Fire Risk health and safety policy. THE HIRER must ensure that all persons entering the Premises do so at their own risk. St. Mary’s Community Centre accepts no liability for any loss, damage or injury to individuals or their property arising from the entry upon or use of the Premises, or use of any of the equipment provided by the parish. THE HIRER when hiring a BOUNCY CASTLE be held responsible for the safety of the users and must follow the safety guidelines when using the inflatable to ensure that there are no accidents or problems. The Hirer MUST read the guidelines on the use of Bouncy Castles and retain a copy for information, also sign a copy for our records. The action to be taken in event of fire – this includes calling the Fire Brigade and evacuating the hall. Drunk and disorderly behaviour and supply of illegal drugs. THE HIRER shall ensure that any activities for children under eight years of age comply with the provisions of The Children Act of 1989 and that only fit and proper persons who have passed the appropriate Criminal Records Bureau checks have access to the children. Checks may also apply where children over eight and vulnerable adults are taking part in activities. The Hirer shall provide the Booking Secretary with a copy of their CRB check and Child Protection Policy on request. THE HIRER shall ensure that the minimum of noise is made on arrival and departure, particularly late at night . More than 30 days notice: No charge and any deposit will be returned. Less than 30 days notice: Loss of deposit if deposit has been paid or 30% of the hire cost or £75 for bookings in the main hall over 4 hours. If full payment has been received the balance will be returned. the premises being required for use as a Polling Station for a Parliamentary or Local Government election or by-election . such hiring will lead to a breach of licensing conditions, if applicable, or other legal or statutory requirements, or unlawful or unsuitable activities will take place at the premises as a result of this hiring the premises becoming unfit for the use intended by the Hirer . In any such case the Hirer shall be entitled to a refund of any deposit already paid, but St. Mary’s Community Centre shall not be liable to the Hirer for any resulting direct or indirect loss or damages whatsoever. THE HIRER shall be responsible for leaving the premises and surrounding area in a clean and tidy condition, properly locked and secured unless directed otherwise and any contents temporarily removed from their usual positions (i.e., chairs and tables) properly replaced, otherwise St. Mary’s Community Centre shall be at liberty to make an additional charge. The caretaker has instructions to close the hall 30 minutes after the end of the booking time. It is the responsibility of the Hirer to ensure all persons including helpers, musicians, etc., vacates the hall by that time. Kitchen equipment must be thoroughly cleaned and replaced in the cupboards provided. All breakages or damages must be reported to the Booking Secretary as soon as possible. NB. The room(s) must be vacated by all persons at termination of hiring time. When filling in hours please ensure they include adequate time to set up and clear up. If the following facilities are required, please indicate. The booking Details, Function Details & the Terms & Conditions of Hire relating to Public, Private & Commercial Hire all form an integral part of the overall hire agreement. The hirer must visit the Community Centre 4 weeks prior to the booking to complete all forms. Having read and understood the conditions of use of St. Mary’s Community Centre agree and accept all the terms and conditions as stated and enclose payment in full for the use of the hall and a deposit of £100 which I understand is non-returnable if any of the conditions are breached. When hiring a Bouncy Castle, you the customer are held responsible for the safety of the users and must follow reasonable safety guidelines when using the inflatable to ensure that there are no accidents or problems. Please read the following guidelines thoroughly and retain for your information. You will be expected to ensure it is followed throughout the period of your hire. On reading these guidelines, we will expect you to sign a copy for our records. All shoes, footwear and spectacles must be removed before entering the inflatable. Children should be supervised at all times when on the inflatable. Children watching or waiting to enter should stay clear of the very front of the inflatable. Please ensure no sharp objects are taken onto the inflatable. Smoking should not be permitted in or around the inflatable. Do not allow too many participants on the inflatable at once. It is the responsibility of the hirer to follow the rules mentioned above and ensure that there is satisfactory supervision while the equipment is being used. Conditions for Hire which is posted on St. Mary’s website (www.stmaryslevenshulme.co.uk) and they agree to accept these and abide by them. In brief, the Hirer is responsible for payment of rental when due (Cheques to be made payable to St. Mary’s Parish), the safety of the Parish Centre and all its equipment, all people attending his/her function and any third party injury caused by his/her function, ensuring that all licences are complied with, the law is fully respected, the abatement of noise and returning the Parish Centre and its equipment clean and in full working order at the end of the period of Hire, and that St. Mary’s Parish Centre accept no liability whatsoever under any of these headings.